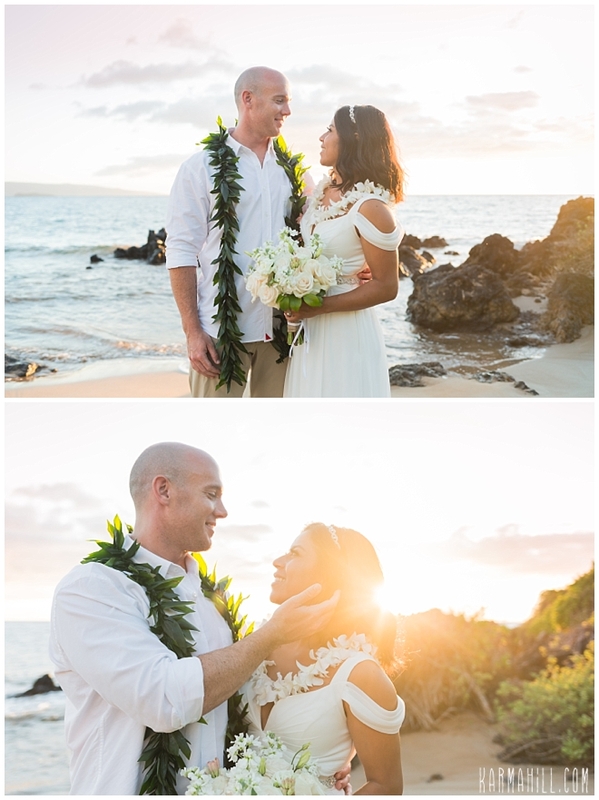 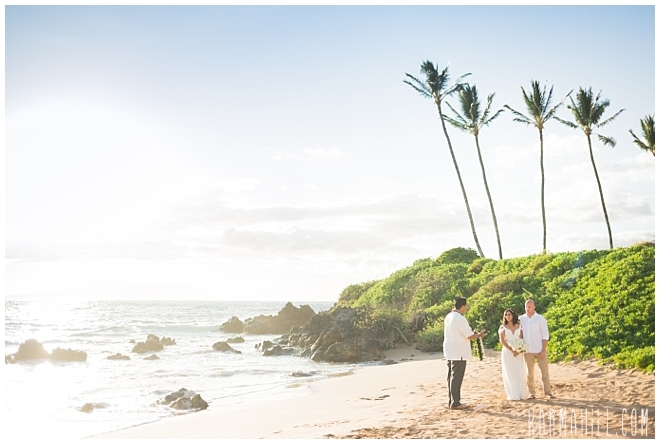 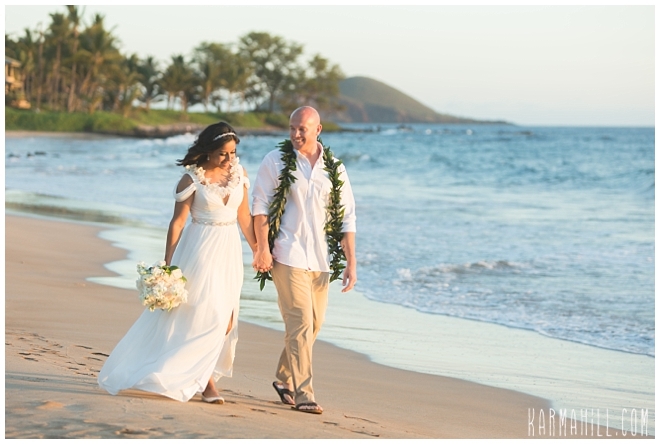 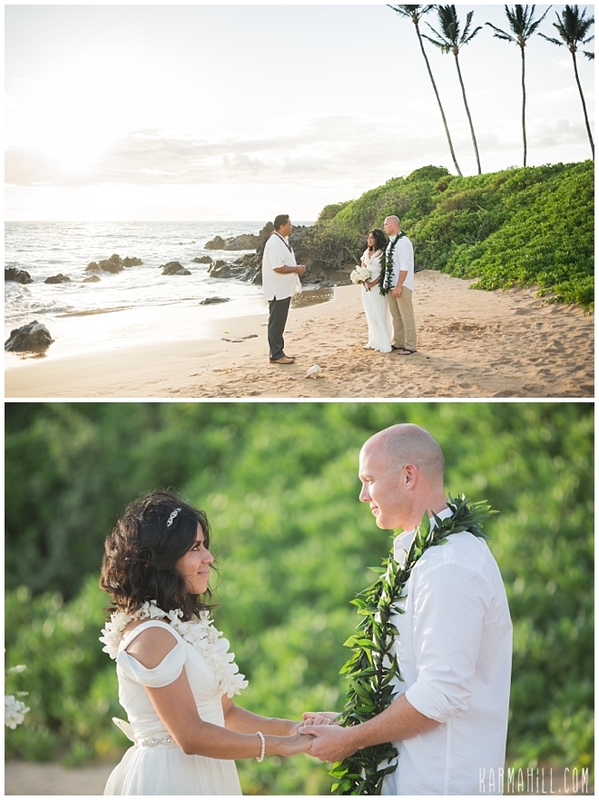 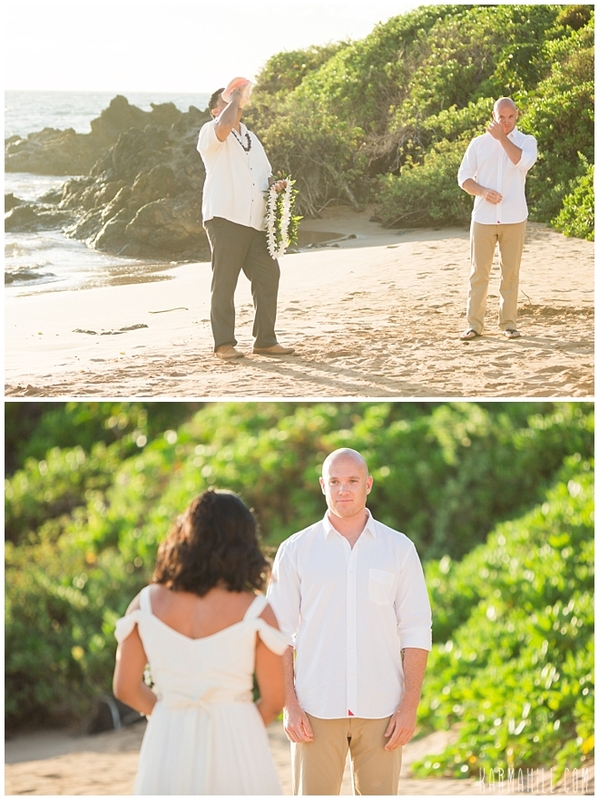 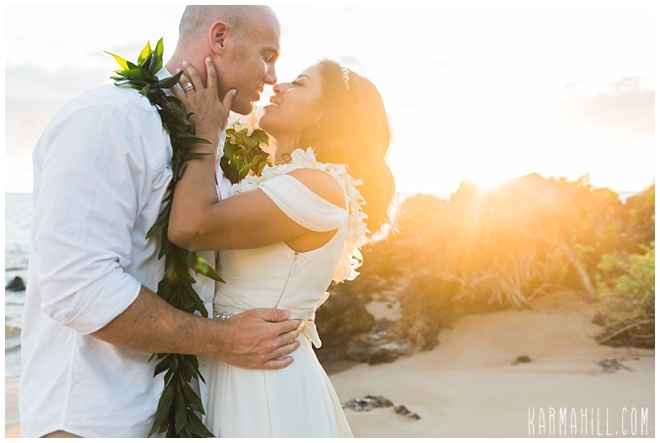 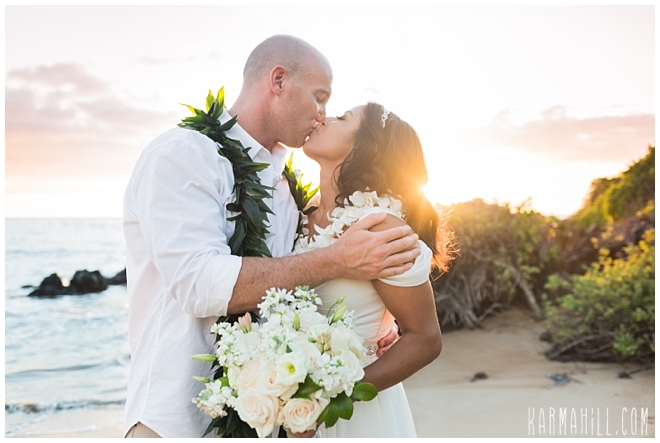 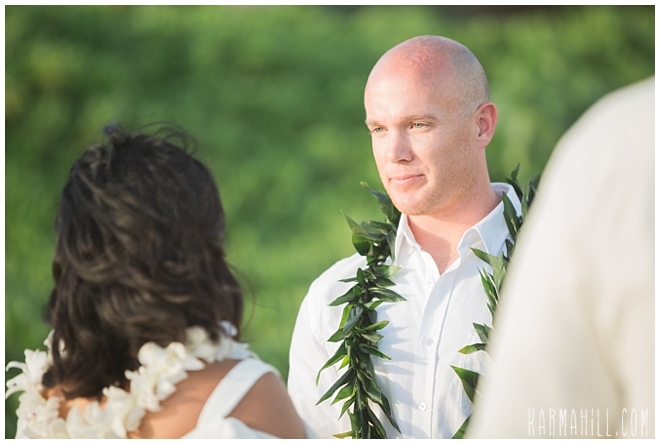 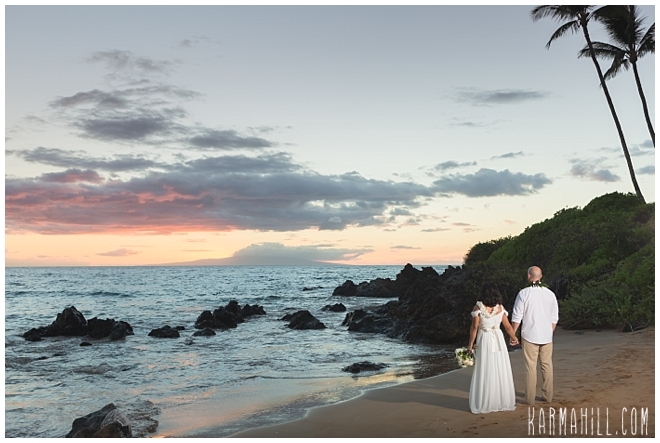 Sheila and Scott were married just before sunset on the beautiful Polo beach in Wailea Maui. 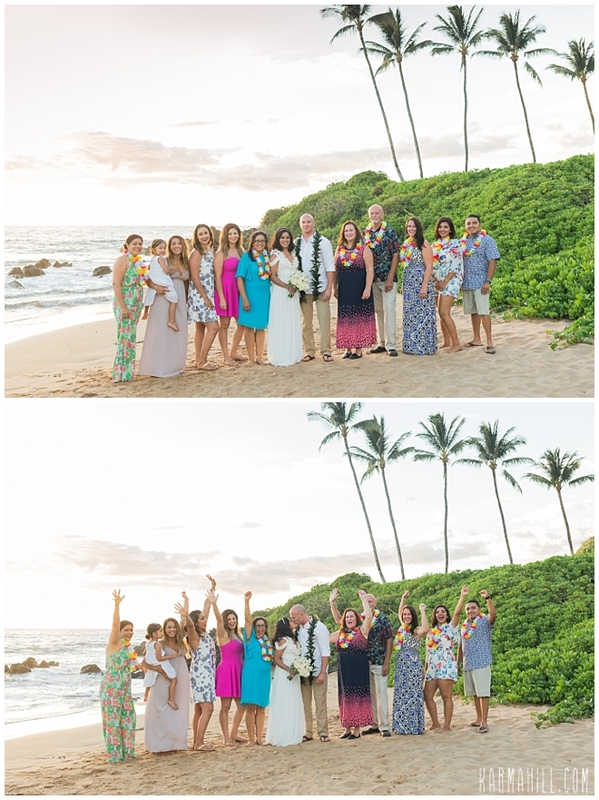 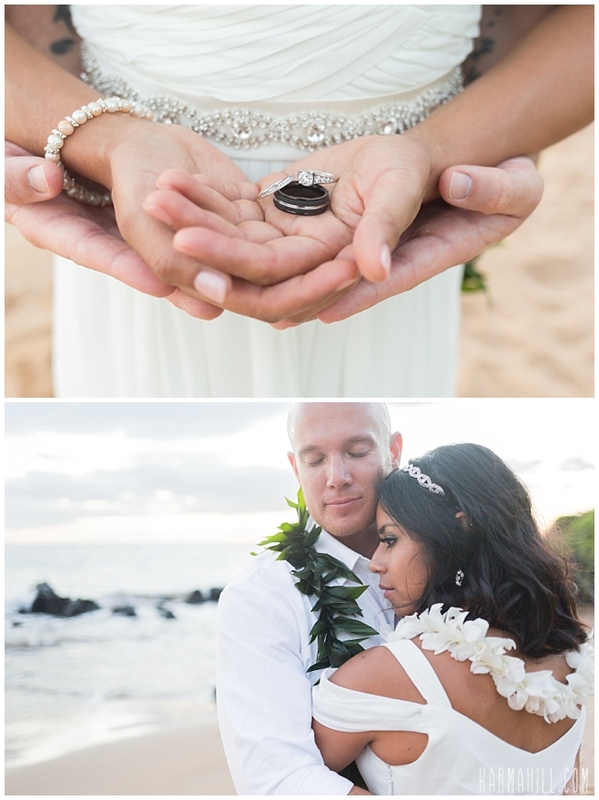 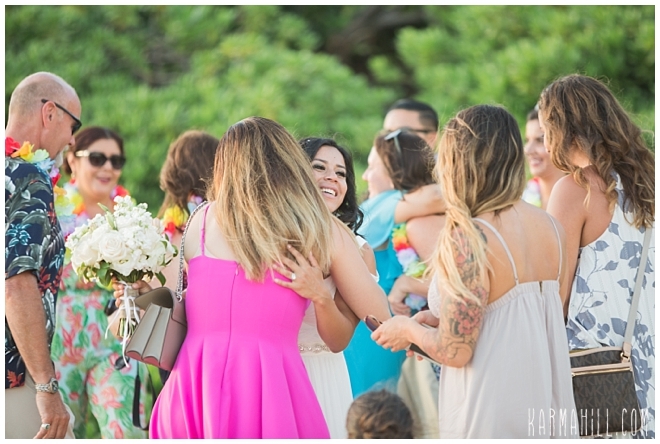 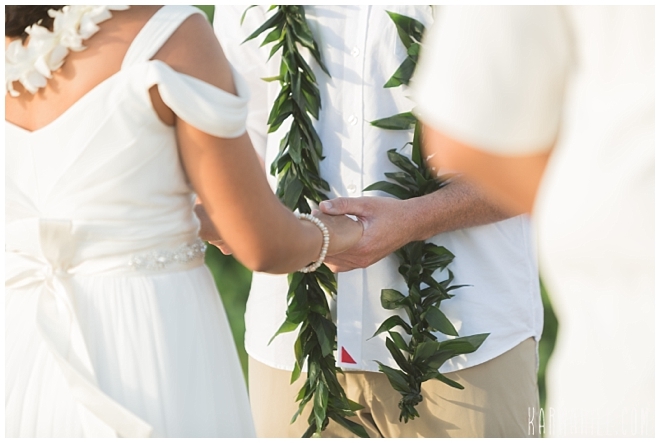 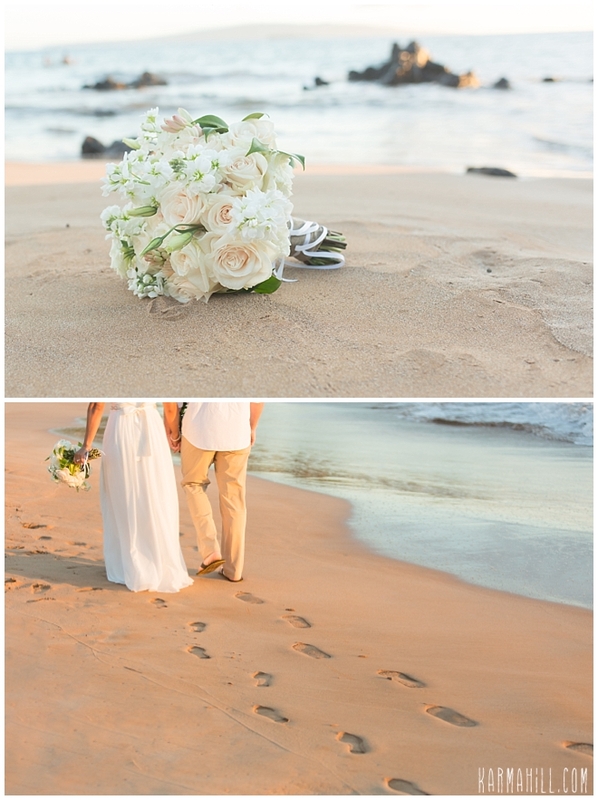 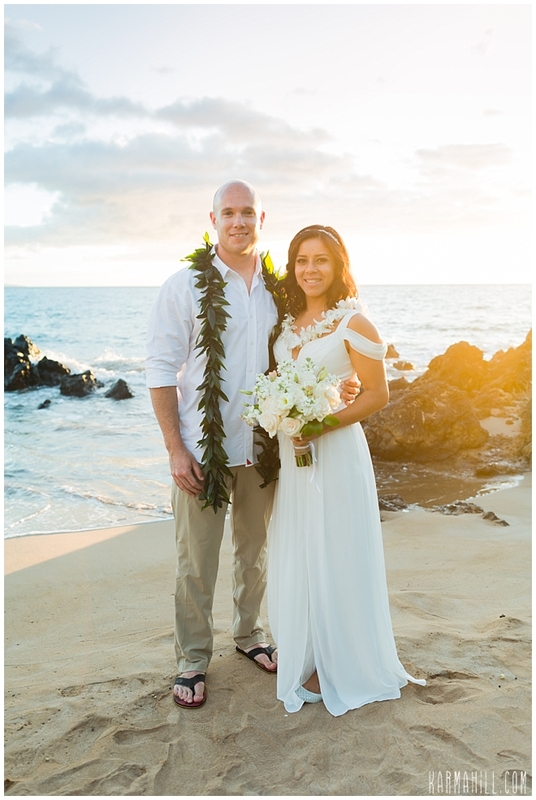 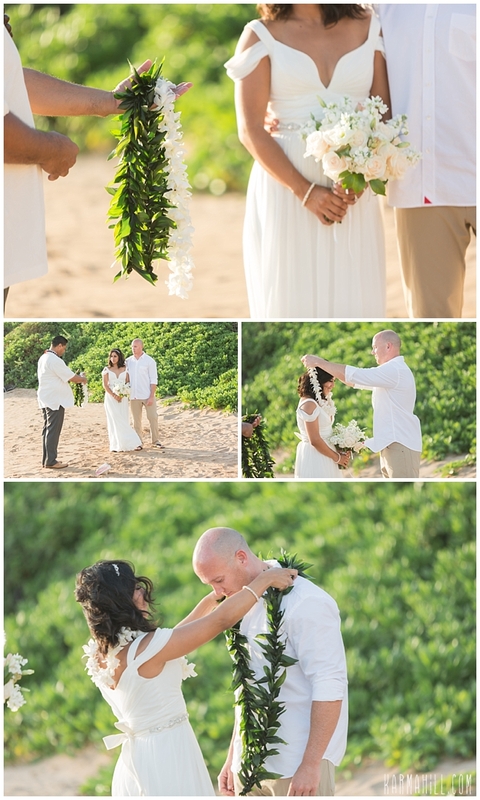 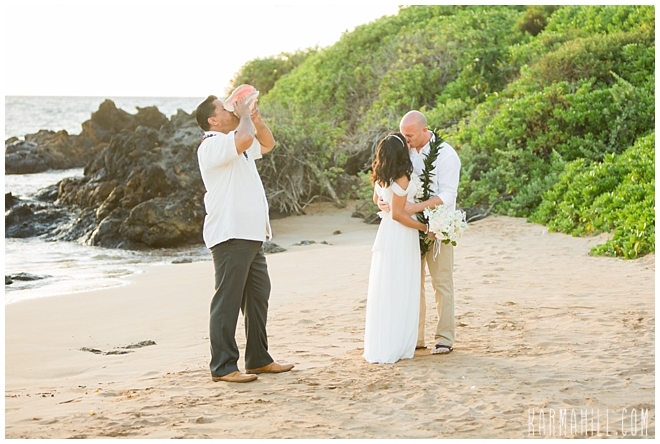 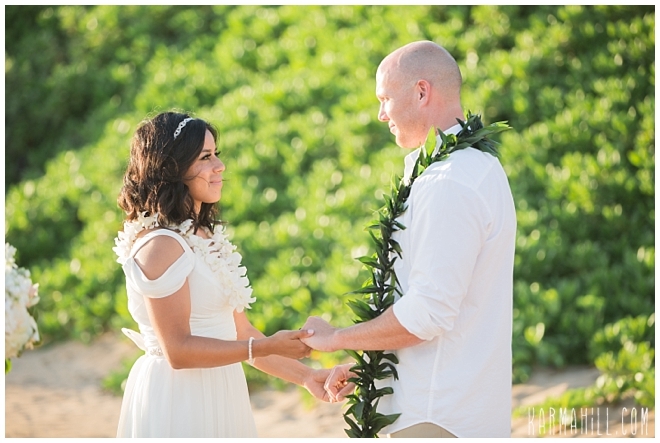 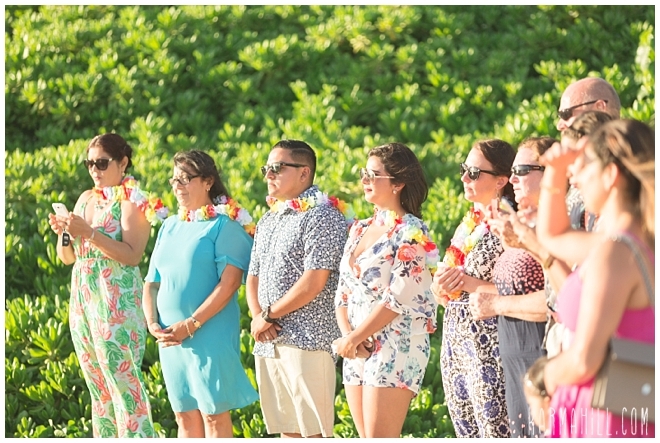 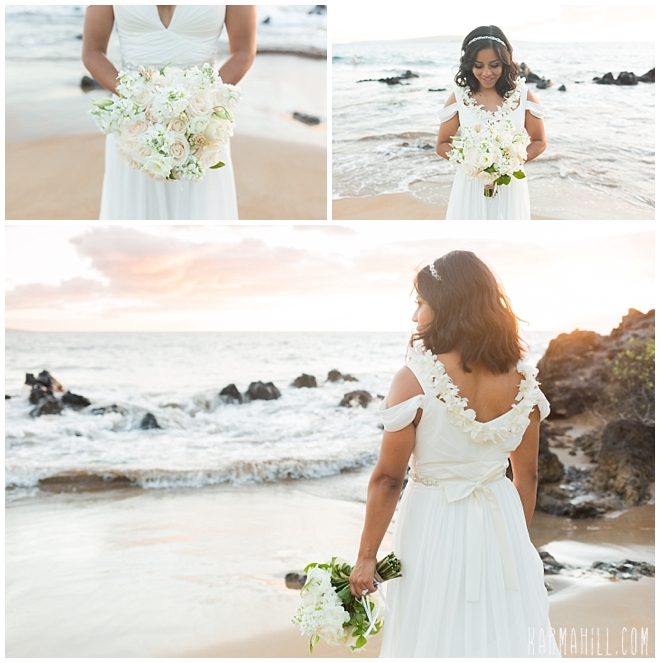 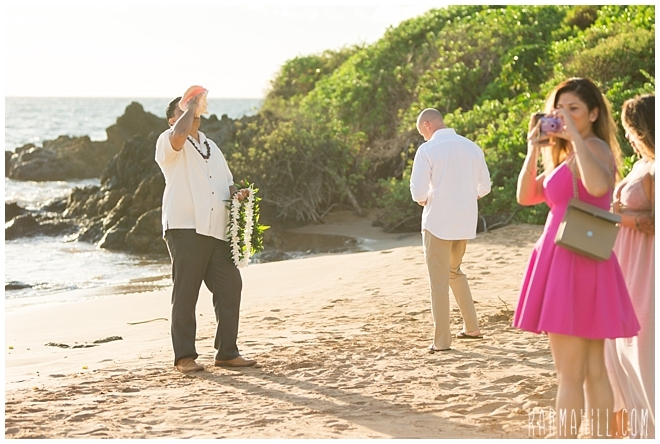 It was the perfect Maui wedding with their closest family and friends there to witness it and their toes in the sand! 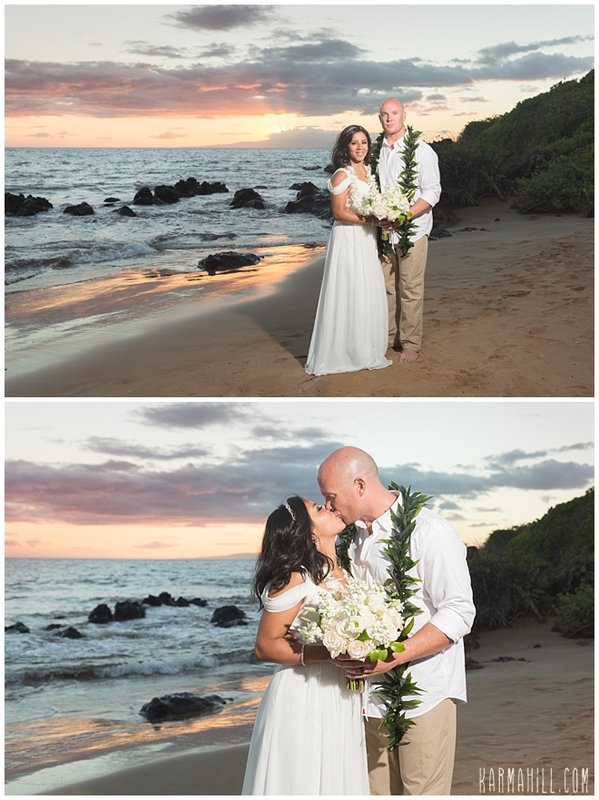 This California couple travelled to Maui for a beautiful stress free wedding and we are so happy we could provide that for them! 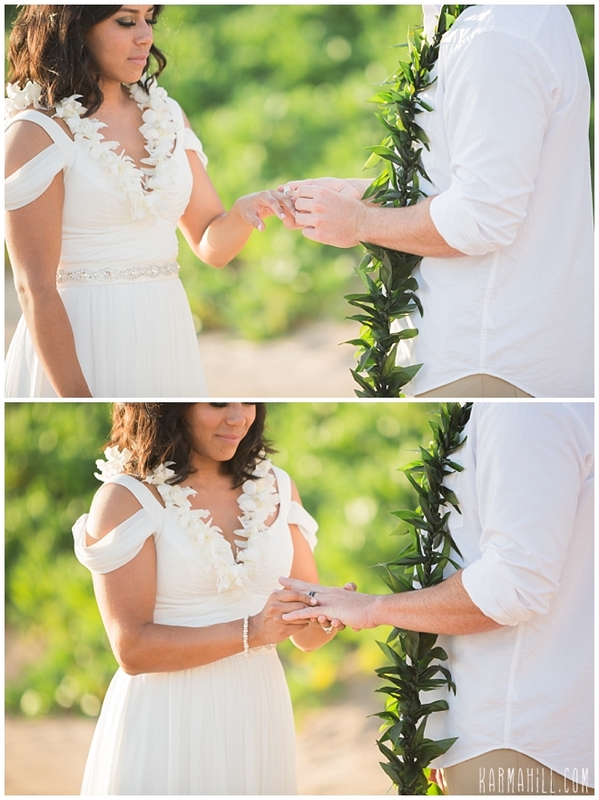 We wish the happy couple, many many years of fun and happiness together!